We used data and science to determine the places in Tennessee everyone wants to move to today. Editor’s Note: Data has been updated for 2019. This is our fourth time ranking the fastest growing cities in Tennessee. Depends on who you ask. Some want bigger, more exciting cities like Memphis and Nashville, while others want peace and quiet like in Forest Hills and Bolivar, thank you very much. 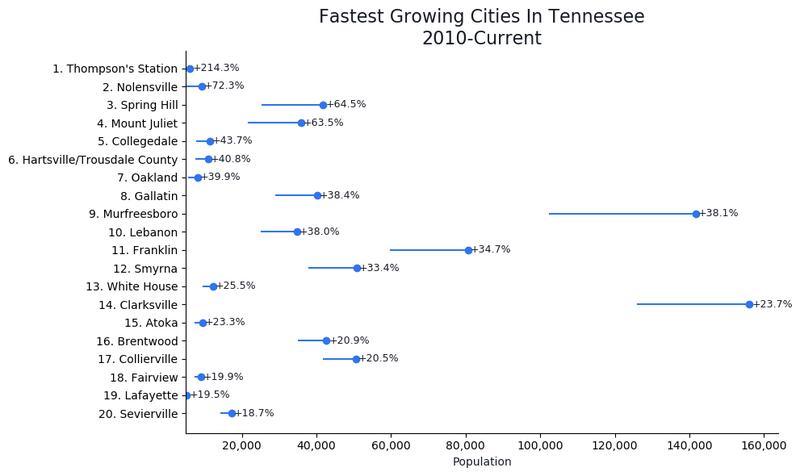 But today we’re going to put opinions aside and just look at the cold hard facts — over the past five years, which cities in Tennessee have the grown the fastest. After getting knee deep in the Census’s American Community Survey, we emerged with this set of cities in the Volunteer State that have people climbing over each other to get in. 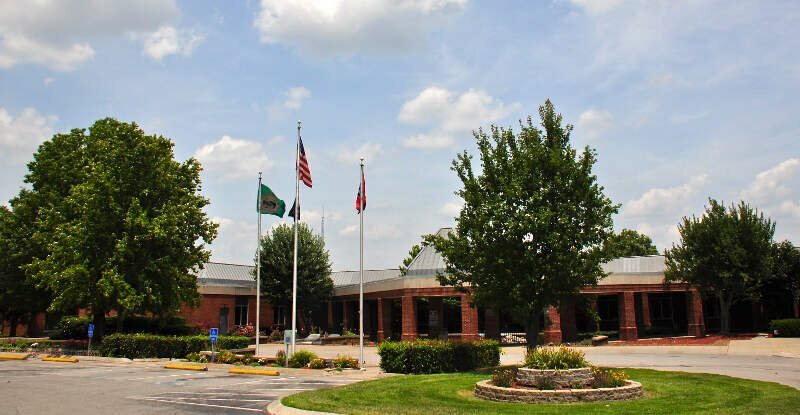 If you happen to be a resident of Mount Juliet, you’re probably not too surprised to find it on our list. If you’re surprised–and you’re wondering why these places are kind of a big deal–keep reading. 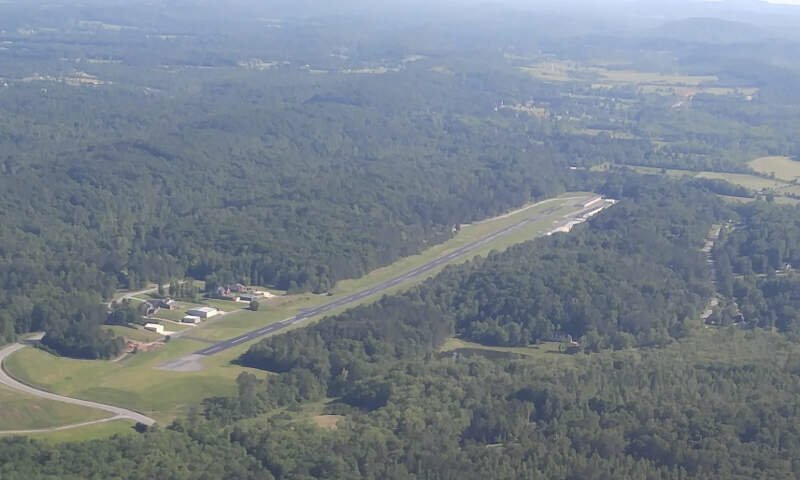 We’ll tell you what makes each of these 10 places in Tennessee are growing like weeds–but first, a bit about our methodology. 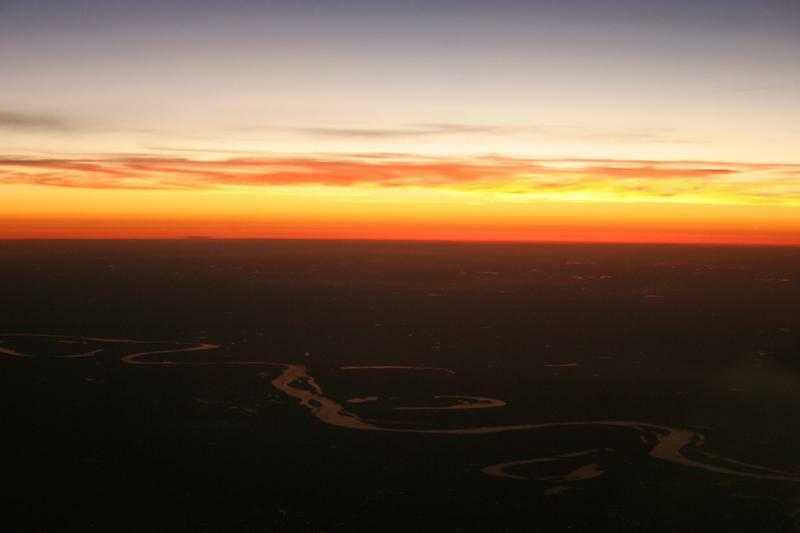 And if you already knew these places were happening, check out the best places to live in Tennessee or the Fastest Growing States In America. 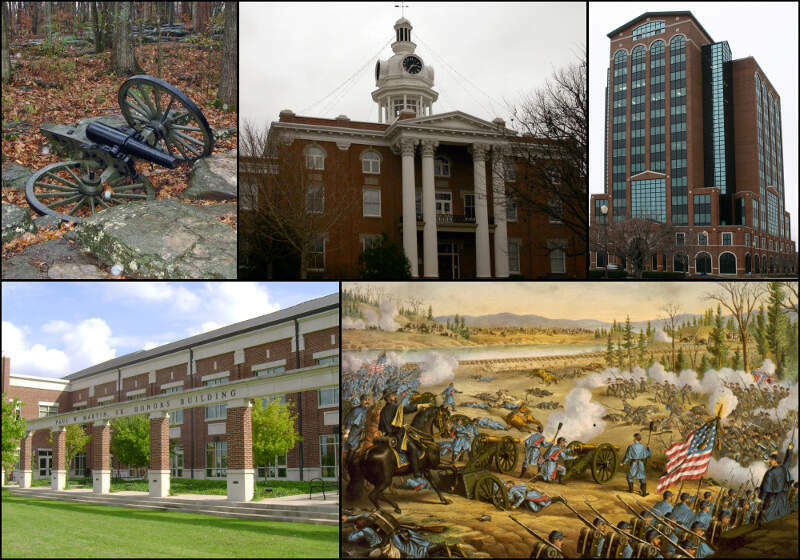 We ranked all 96 Tennessee cities with a population over 5,000 people from highest growth rate to lowest. The city with the highest growth rate during this time was crowned the fastest growing city in the Volunteer State. Mt. Juliet is a city located in western Wilson County, Tennessee. A suburb of Nashville, it is approximately 17 miles east of downtown Nashville. Mt. Juliet is located mostly between two major national east-west routes, Interstate 40 and U.S. Route 70. As of the 2015 special census, the city has a total population of 28,156. Mt. 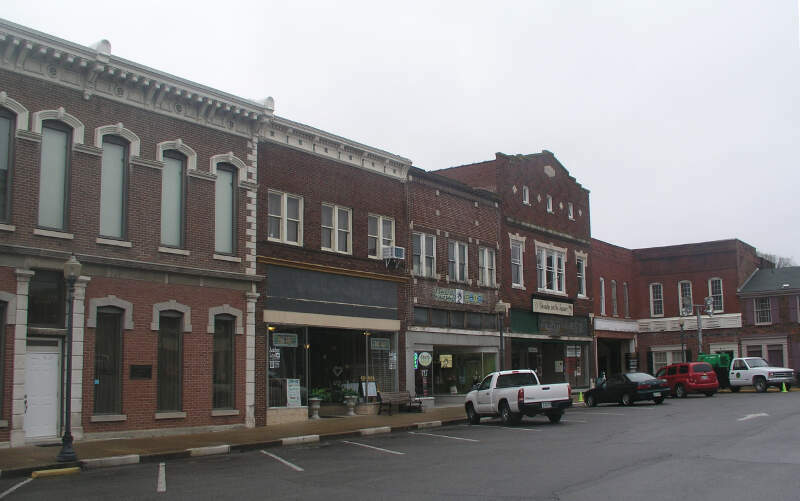 Juliet is the largest city in Wilson County. The official city charter has the name listed as Mt. 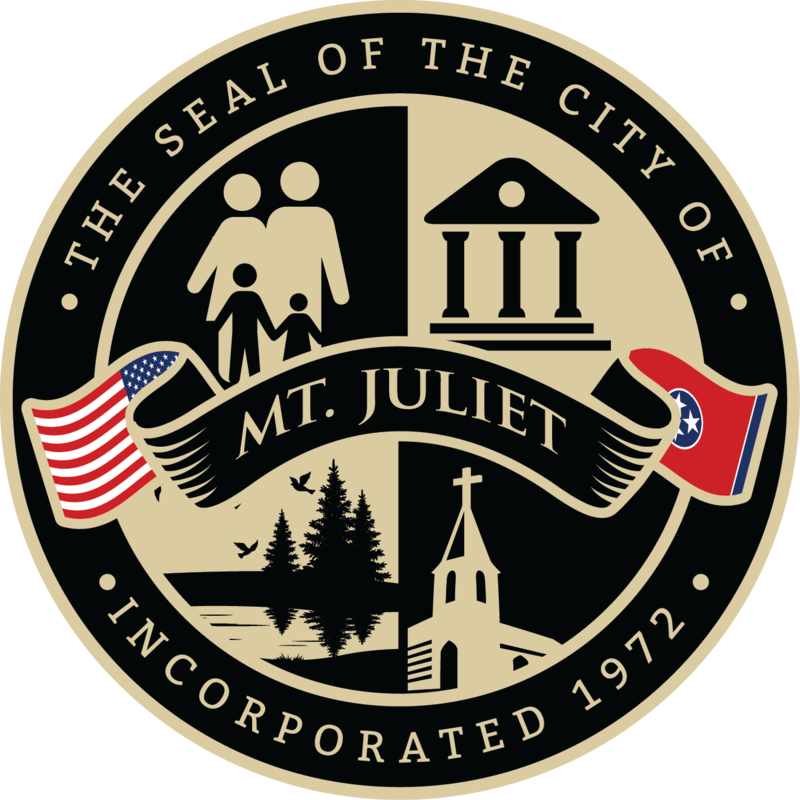 Juliet, however the United States Postal Service lists the name as Mount Juliet. Collegedale is a city in Hamilton County, Tennessee, United States. The population was 8,282 at the 2010 census and 10,729 in a 2014 estimate. Collegedale is a suburb of Chattanooga and is part of the Chattanooga, TN-GA Metropolitan Statistical Area. Collegedale is home to Southern Adventist University. The median household income is among one of the highest in Hamilton County. It has been ranked as one of the best and safest places to live in Tennessee. Oakland is a town in Fayette County, Tennessee, United States. In 2010 the population of the town was 6,623, a gain of 417.8% since 2000, for the largest gain of any municipality in the tri-state area of Memphis TN-MS-AR. In June 2007, although much smaller in population than its counterparts, Oakland had the highest number of building permits issued for any suburb in the Memphis metropolitan area, including Southaven and Olive Branch, Mississippi, and Collierville, Tennessee. Retail stores make up most of the commercial business. Large retail stores located in Oakland, Include Walmart, Kroger, and Walgreens. Smyrna is a town in Rutherford County, Tennessee. 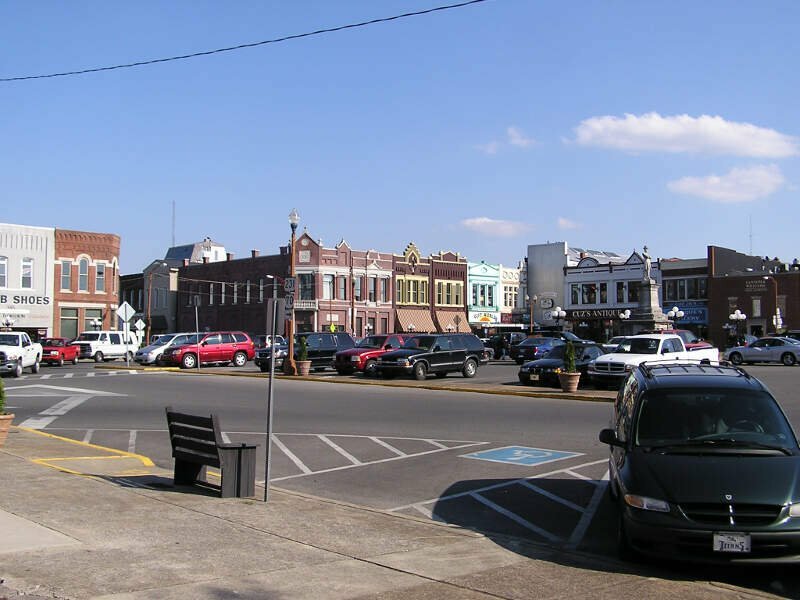 Smyrna’s population was 39,974 at the 2010 census and 43,063 in 2013. 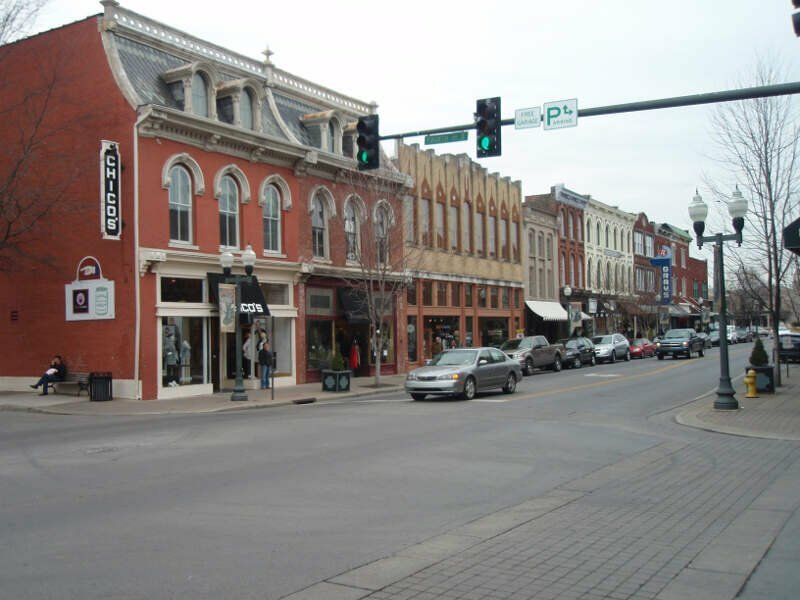 In 2007, U.S. News & World Report listed Smyrna as one of the best places in the United States to retire. Murfreesboro is a city in, and the county seat of, Rutherford County, Tennessee, United States. The population was 108,755 according to the 2010 census, up from 68,816 residents certified in 2000. In 2016, census estimates showed a population of 131,947. The city is the center of population of Tennessee, located 34 miles southeast of downtown Nashville in the Nashville metropolitan area of Middle Tennessee. It is Tennessee’s fastest growing major city and one of the fastest growing cities in the country. 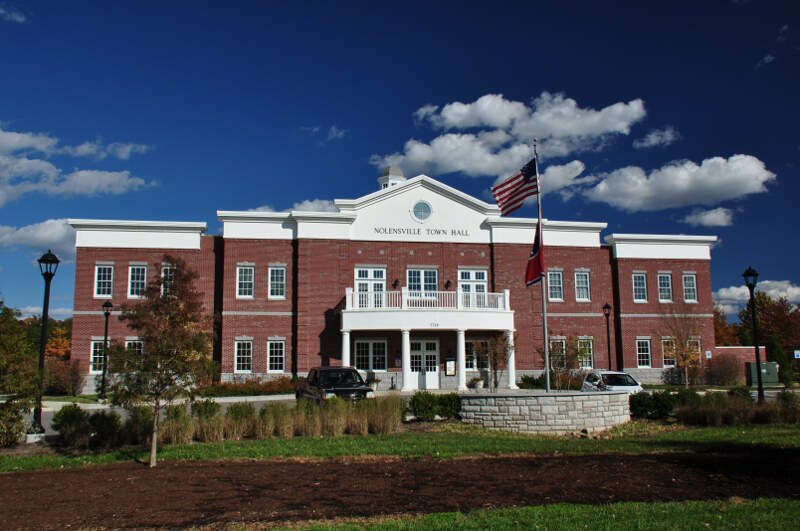 Murfreesboro is also home to Middle Tennessee State University, the second largest undergraduate university in the state of Tennessee, with 22,729 total students as of fall 2014. These Places Grew Up So Fast In Tennessee, You Know? So there you have it, the fastest growing cities in Tennessee are led by Mount Juliet which has been growing at a blistering pace this decade relative to other cities and towns around the state.